Andrew Kocher and Ciana top $10,000 Welcome Stake. 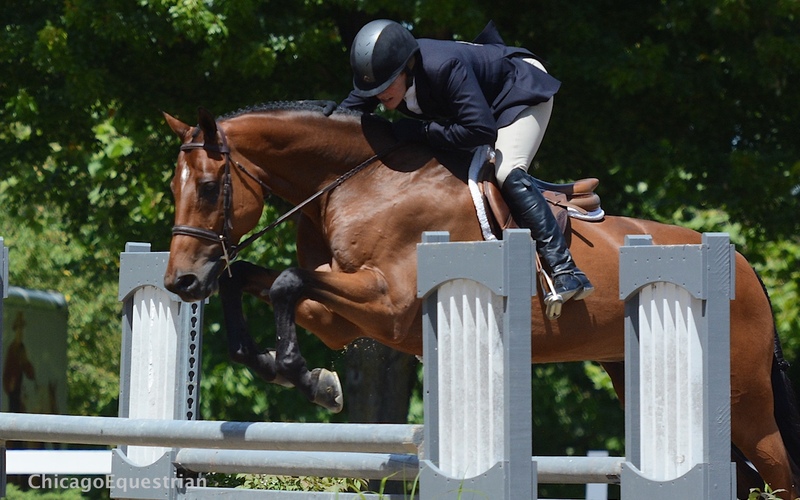 Wayne, IL – July 29, 2015 – Equifest II at Lamplight Equestrian Center is gearing up for a big week leading up to a $50,000 Grand Prix and a $30,000 Jumper Derby for the jumpers and a $5,000 USHJA National Hunter Derby and a $25,000 USHJA International Hunter Derby for the hunters. Both hunter and jumper riders were getting their horses ready for the big weekend, starting with the $10,000 Welcome Stake in the SmartPak Grand Prix arena and the completion of many of the professional hunter divisions for World Championship Hunter Rider (WCHR) week in the Wisconsin Equine arena. The course for the Welcome Stake, designed by Leopoldo Palacious (VEN), proved challenging for all riders with only five going double clear. Palacious was the course designer for the Olympics in both Sydney, Australia in 2000, and Beijing, China in 2008 along with the Pan American Games in La Habana, Cuba in 1991. Andrew Kocher and Le Conte took the second place spot in the Welcome Stake. Andrew Kocher, Lake St. Louis, MO, took the number one and two spots today aboard Ciana and Le Conte respectively. Kocher’s times were within seconds of each other. Ciana, owned by Eagle Valley Partners, was the first horse to take a swing at the track and laid down the time to beat of 28.342. Then Kocher cemented his victory with a 28.769 time on Le Conte. 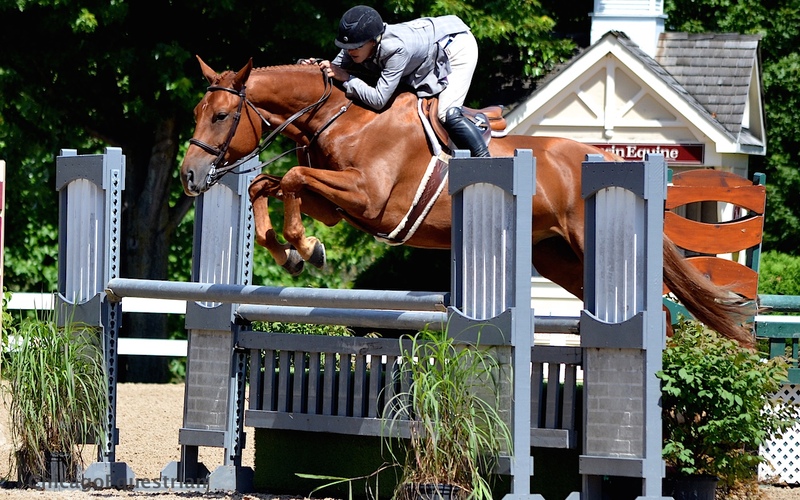 “Ciana is eight years old, we bought the horse is Holland in January or February and we just started moving her up. She’s really fast and really careful. She’s small but she really tries,” said Kocher. Kocher owns Le Conte and considers him his “pet”, claiming he is the only horse that is not for sale. Kocher, who had seven rides in the Welcome Stake, compared his strategy of having a lot of his horses in the same class to racetrack trainer Dale Baird, who won more races (9,445) than any Thoroughbred trainer in North American racing history. Kocher won the big Grand Prix last week with Ora Del Te Di La San Giorgio and won $29,250 between four different rides. “Run more than everyone else. It’s a little bit old school but it works,” laughed Kocher. Kocher plans to have several rides lined up for Saturday’s $50,000 Grand Prix. Liz Atkins and Carletta won the 1.35m jumpers. 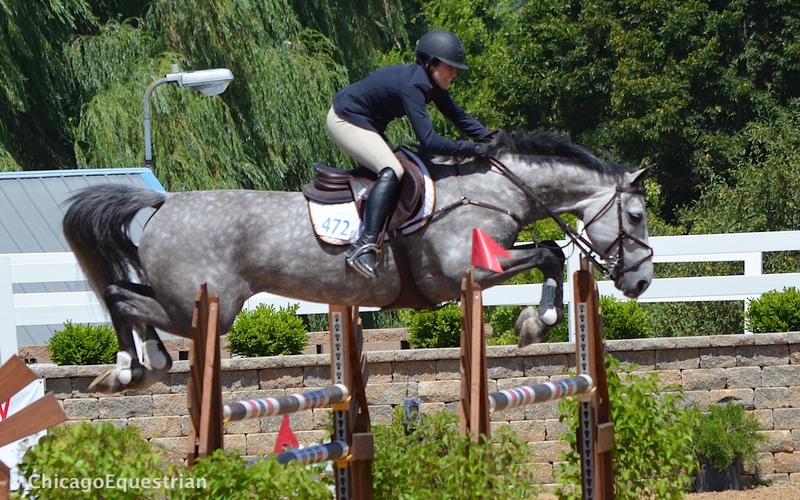 Liz Atkins of Hampshire, IL, also competed in the Welcome Stake, placing third aboard Undine with a time of 29.661. Atkins had Undine in the Gladstone Program with George H. Morris this past June and had nothing but positive things to say about her mount. “She jumped in the $50,000 Prix week 3 of Traverse City with Leopaldo designing and there were two clean and she had one rail. Today it was a piece of cake for her so definitely the Grand Prix for her this week,” said Atkins. In the 1.35m, Atkins took the victory aboard Carletta with a speedy 41.392 double clear round. Atkins is the owner and head trainer of Benchmark Stables in Hampshire, IL. Carletta participated in the Gladstone Program with Atkins along with Undine. Atkins praised the Gladstone Program for helping her evolve as a rider and succeed at all levels. “The Gladstone Program really got me thinking about my riding and not just going fast and jumping the jumps. At the higher level you have to do it correctly. I’ve really worked hard on my flatwork since that program and I think it’s really making a difference in my horses,” explained Atkins. 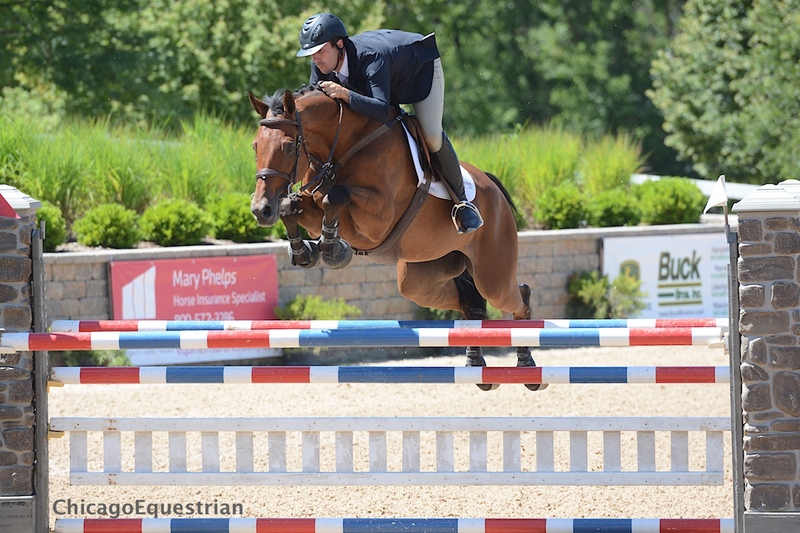 Jumper competition continues with the $1,000 High Junior/Amateur Jumper class and young jumpers, leading up to Saturday’s $50,000 Grand Prix at 4:00 pm. 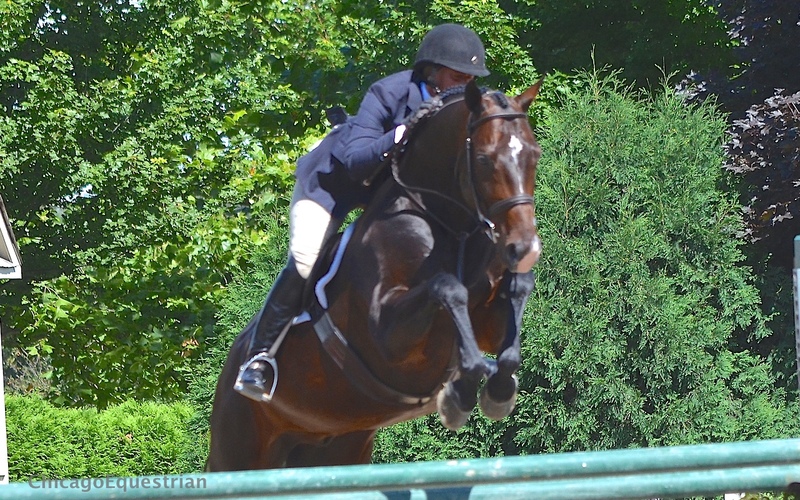 Hunter riders will earn points toward WCHR awards this week as Equifest II is a WCHR rated event. Alex McNally’s For Adventure with Rachel Johnson riding for trainer Margaret Clayton, was Champion in the First Year Green Working Hunters. 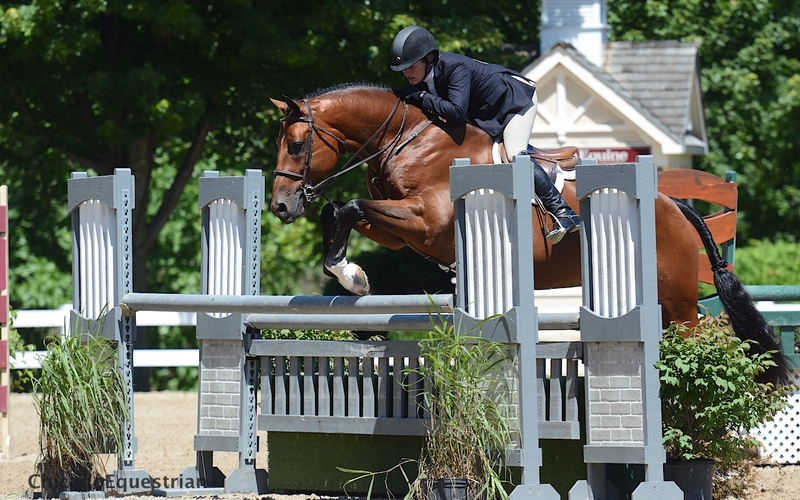 In the First Year Green Working Hunter division, For Adventure ridden by Rachel Johnson for Alex McNally, Wilmette, IL, took the Championship honors, placing second in all of Wednesday’s classes after winning both over fences classes on Tuesday. Johnson took the riding job with Margaret Clayton and Palladia Farm, just last week. Taking the Reserve Championship in the First Year Greens was Kelly Farmer and Symbolic, owned by Glefke & Kensel. Point Being and Kelly Farmer were Champion in the Second Year Green Working Hunters. Farmer rode to more championships as the day went on, which included the Second Year Green Working Hunters with Point Being, owned by David Glefke. It was a battle between Farmer and Buffalo New York’s Jennifer Alfano with her mount, Candid, each winning a class and placing second in the other today, with Candid winning the under saddle. In Tuesday’s over fences, Alfano won one with Farmer following in second, but in the second class, Farmer took the blue and Alfano ended up fifth, giving Candid the Reserve Championship. 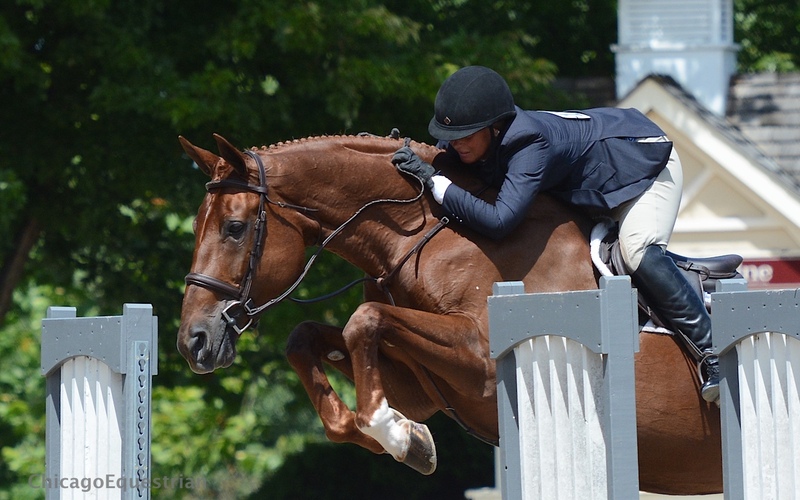 Jennifer Alfano and Candid were Reserve Champions in the Second Year Greens. Farmer of Keswick, VA, is getting her group of horses ready for Sunday’s Derby Day. There is planning that takes place when deciding what derbies to attend and which horses will show in the division classes. Back Story and Kelly Farmer made a clean sweep in the Regular Conformation for the Championship. In the Regular Conformation Hunters, Farmer took the Championship on Tia Schurecht’s Back Story, winning every class in the division. Back Story and Farmer have had a fantastic career together with numerous national championships including the title of Devon Grand Hunter Champion and Green Conformation Hunter Champion in 2013, just to name a few. Longstreet and Holly Shepherd took the Reserve Championship in the Regular Conformation Hunters. Staying in the hunt right behind Farmer, was Reserve Champion, Longstreet, owned by Barbara Risius and ridden by Holly Shepherd for trainer Patrick Bostwick, Chardon, Ohio. Dalliance and Kelly Farmer earned the Championship in the High Performance Hunters. In the High Performance Hunters, it was Farmer again taking the Championship, this time on Dalliance, owned by Avatar Real Estate. The pair won four out of the five classes, including the under saddle for the win. 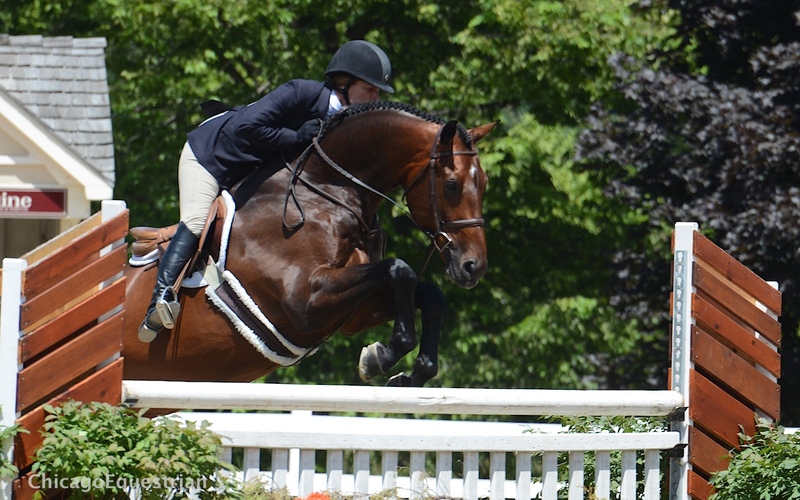 Jennifer Alfano and Miss Lucy, owned by Helen Lenahan, earned the Reserve Championship. 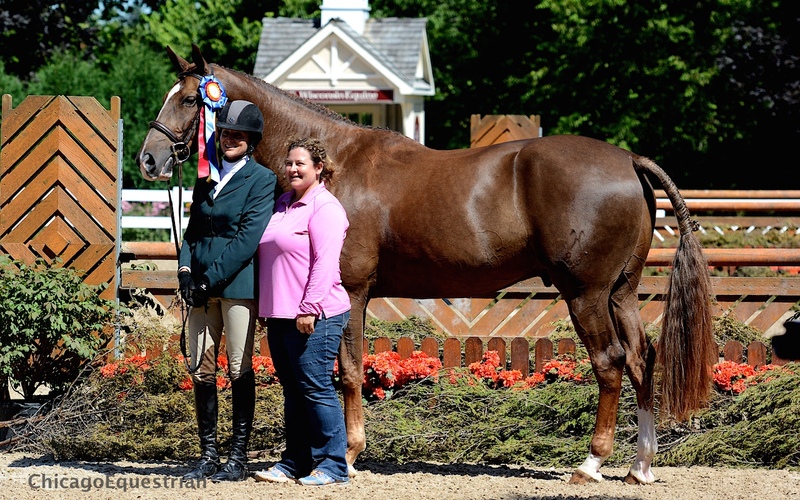 Jennifer Alfano and Miss Lucy took the Reserve Championship in the High Performance Hunters. Farmer ruled the Performance Working Hunters with So to Speak, Glefke & Kensel, who took home the Lamplight Championship ribbon for the 3’3” section and Taken, owned by Jessica Stitt, earned the Championship in the 3’6” Performance Hunters. Tiffany Hammack rode Ducati for Cassie Berke to the Reserve Championship in the 3’6” Performance Hunters and Amanda Thomas and Symphony took home the Reserve Championship title for the 3’3” Performance Hunters. Pre-Green Working Hunters wrap up on Thursday as WCHR week continues, heading toward the grand finale of Derby Day on Sunday. In addition, the premium show is a USHJA 2014 Member's Choice Award Winning Horse Show, rated by its members as an exhibitor friendly show and facility. Managed by Allen Rheinheimer, the show offers a $50,000 Grand Prix and a Derby Day during this second week of competition.